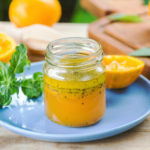 This Orange Ginger Vinaigrette Dressing is the signature dressing for my Sushi Salad and Asian Turkey Salad, however it can be used for stir‐fry, marinated veggie salads or pasta salads as well. Serve it with your 2 handfuls of greens, shredded Jicama, Clementine’s and almonds. The salad dressing can be the make-or-break of a salad both with flavor and nutrition. When you eat out the dressing may be the most dangerous food on your plate…due to the damaged, genetically modified oils, chemical preservatives and hidden sugars, not to mention hidden gluten. This Orange Ginger Vinaigrette Dressing is Gluten Free, Dairy Free, Sugar Free and contains Beneficial Fats. Let’s look at the health benefits! Do you crave Asian style foods? It may be the ginger you are after. According to the GREAT website, Worlds Healthiest Foods, Ginger has an amazing array of health benefits. I highly suggest their article on Ginger. 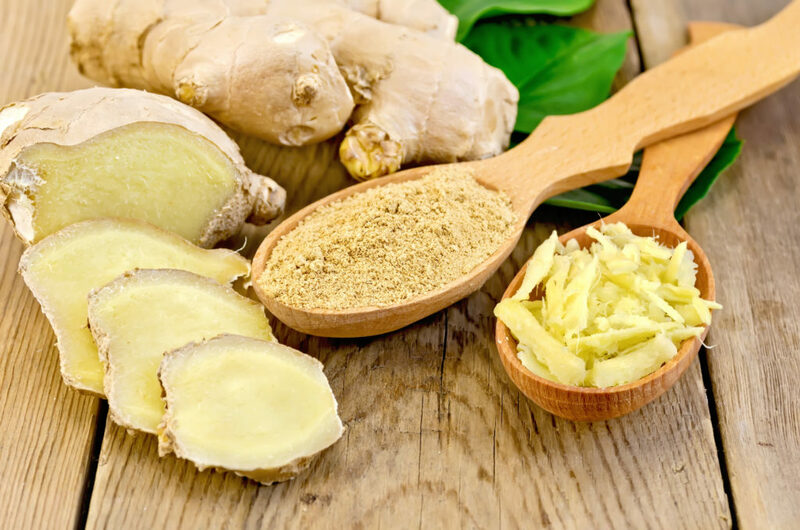 Gastrointestinal relief…Ginger helps with morning sickness! Wish I’d known that 40 years ago. Anti-inflammatory…want less joint and knee pain? Add ginger to your diet. Cancer protection…especially colorectal and ovarian cancer. Boost your Immune System…a great food to add to your winter meals. Vitamin C of course! 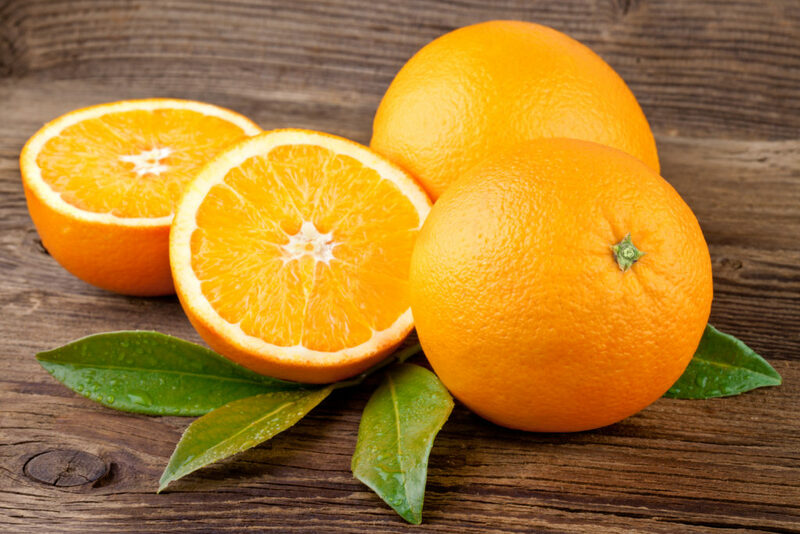 However, when you consume an orange rather than just a vitamin C supplement or a vitamin C fortified juice, the health benefits are optimized. Salad dressings at a restaurant or from a bottle pose some significant health risks due to damaged fats, GMO ingredients and added sugar. This dressing will keep your healthy salad – healthy! If you use coconut oil it will solidify if your other Ingredients are cold. Set coconut oil jar warm water for a few minutes to liquefy oil. For best results all ingredients should be room temperature. Refrigerate and use within 3 days. Excellent!